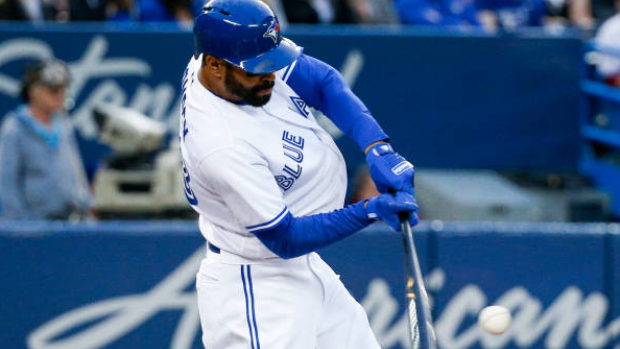 DUNEDIN, Fla. — Dalton Pompey had three hits, including a two-run single with two outs in the bottom of the second inning, as the Toronto Blue Jays beat a Detroit Tigers split squad 3-2 in spring training baseball action Monday. Pompey, from Mississauga, Ont., also had a single in the first inning and a double in the seventh as he raised his pre-season batting average to .297. Teoscar Hernandez added a solo home run with two outs in the bottom of the first for Toronto (11-11). Gordon Beckham had a solo homer in the first and Grayson Greiner added an RBI single in the fifth to provide the offence for Detroit (11-11). Toronto starter Clayton Richard improved to 2-0 this spring, giving up two runs on two hits and a walk while striking out six over six innings. Bud Norris pitched a hitless ninth to earn the save. Daniel Norris gave up three earned runs in three innings and picked up the loss for Detroit. Toronto next faces Boston on Tuesday afternoon. The Blue Jays open the regular season on March 28 at home to Detroit.